Silver Streak Boats started from the grass-roots in Sooke, BC with its early stages in Andy’s shop after long hours working at the Victoria shipyard. Andy had a vision and quickly began drafting and carving out foam proto-types which would one day become one of Canada’s premier welded all-aluminum boats. In 1987 the first shop was opened after some much needed renovations. This shop operated with one buzz box welder, a skill saw and some grinders, and we outsourced all other cutting and forming. All the original designs Andy drew by hand at night after work. This small double bay shop would suffice for 3 years before the boat’s popularity evoked the need for a small crew and more space. The second location was the property of an old gas station only minutes from downtown Sooke. Silver Streak Boats, now in 2017, still runs out of this location only now with added shops, office space, a parts department and a crew of 30 employees and various contractor’s. Nowadays our shop is filled with hydraulic press brakes, shears, programmable equipment, benders, plasma cutters, pulse arc welding machines and our designs are created on the latest version of Solidworks™. This 3D modeling software allows for all boats and parts to be cut via a CNC water jet cutting apparatus. We are also a CWB certified welding shop for fusion in aluminum and a member of ABYC since 2004. We are also proud of all the many people whom have worked for us or still work for us and the many apprentices we have trained and certified. Many of these apprentices have gone on to work all over the world because of their training at our facility. Silver Streak Boats hires local Sooke and surrounding area residents in order to facilitate job creation within our small community, and we pride ourselves on using as many local companies and suppliers in keeping with this same policy. We are involved with our community and have been long-time supporters of the Sooke Salmon Derby, Sooke Salmon Enhancement Society and the Royal Canadian Legion. It’s 27 years later and Andy plus his crew still produce an exceptionally well-built boat with style and superior functionality. We dedicate ourselves to promoting all watercraft activities for present and future generations to enjoy. We are fishermen, sportsmen, outdoors-men and are proud to be building a top-quality product for those who too appreciate the great outdoors. Thanks for reading, please call for more information and we look forward to hearing from you! Andy began hand drawing his ideal aluminum fishing boat back in 1987. 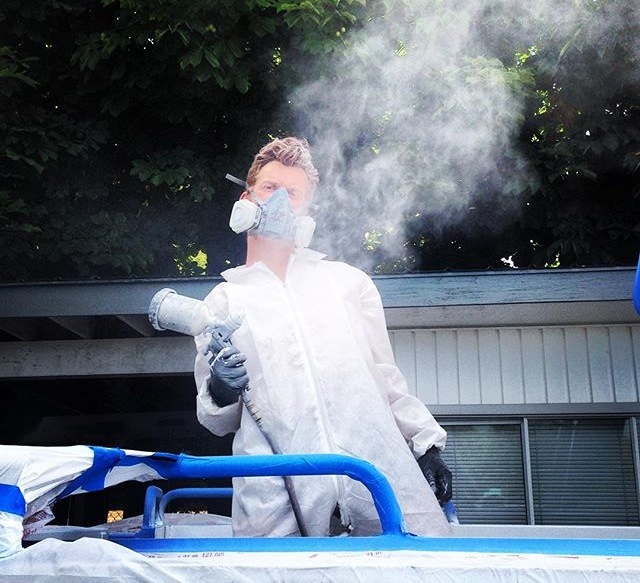 It was after many late nights returning home from the Victoria Shipyards he began building one boat at a time out of his garage. 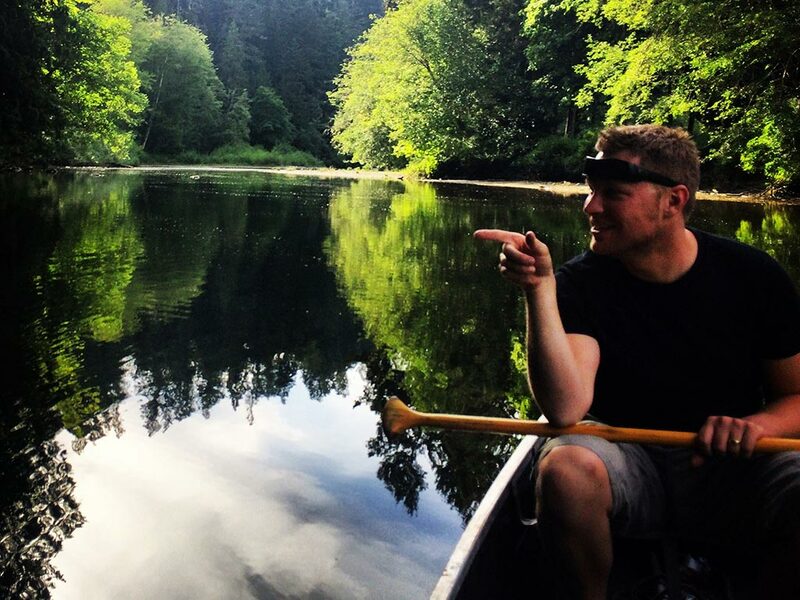 Andy grew up in Sooke and enjoys everything about living on the West Coast. It was easy to draw inspiration to build these boats as an avid fishermen & explorer by nature. Andy is always finding new recluse spots either by foot, motorbike, quad or jet boat. 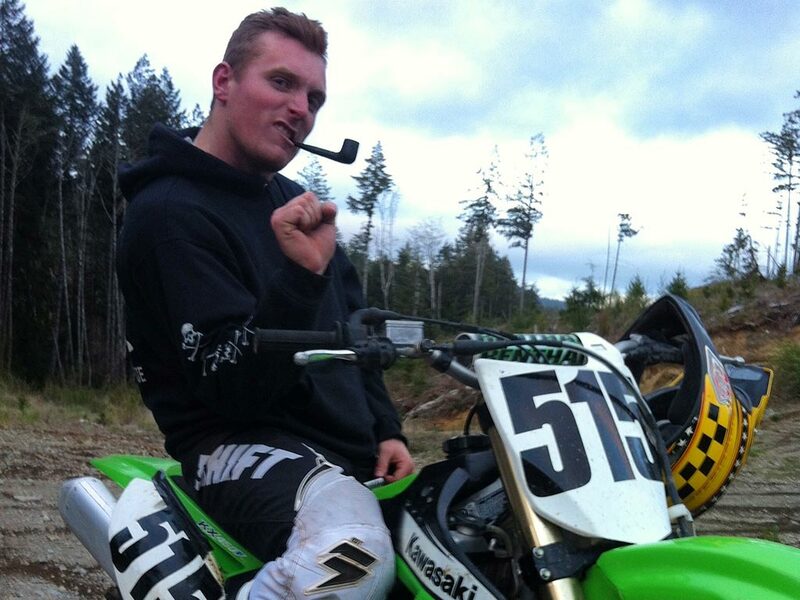 Andy is an avid fisherman, hunter, prospector, hiker and loves his motocross. 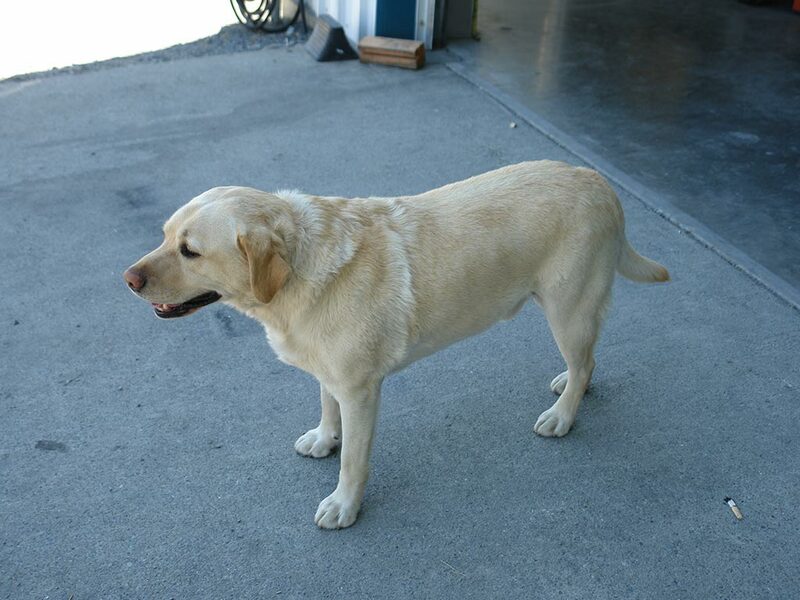 When Andy isn't working you may see him riding through the Sooke hills with his yellow lab "Ace". Claude has been with Silver Streak for over 15 years and is a pivotal part of the team. He is our Quality Officer and knows these boats like the back of his hand. He is always smiling and a pleasure to be around! Claude is big into fishing, golfing, gardening, camping, playing darts, pool, horse-shoes & playing with his grandchildren. Claude's best memories at Silver Streak is fishing on the Swiftsure, Christmas parties, Claude's 15 year "If you can't be good, be Baaad" Golf Tournament, Sea trials and when customer's get their new boats. Jessica started working at Silver Streak in 2013 but has been around the shop since the starting year--1987. She is the oldest daughter of Andy and big sister to Graham, Scott and Mike. 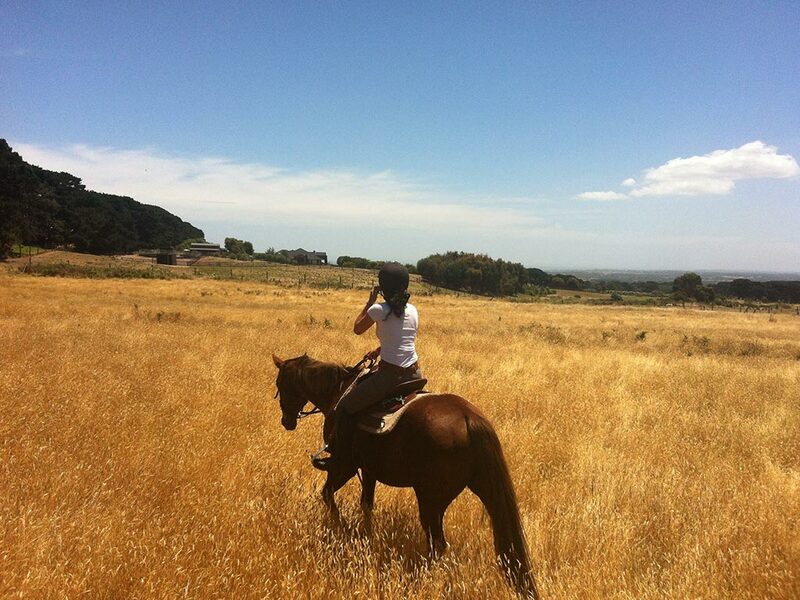 Jessica enjoys horse-back riding, snowboarding, getting her brother's to fix her truck (again) and travelling. 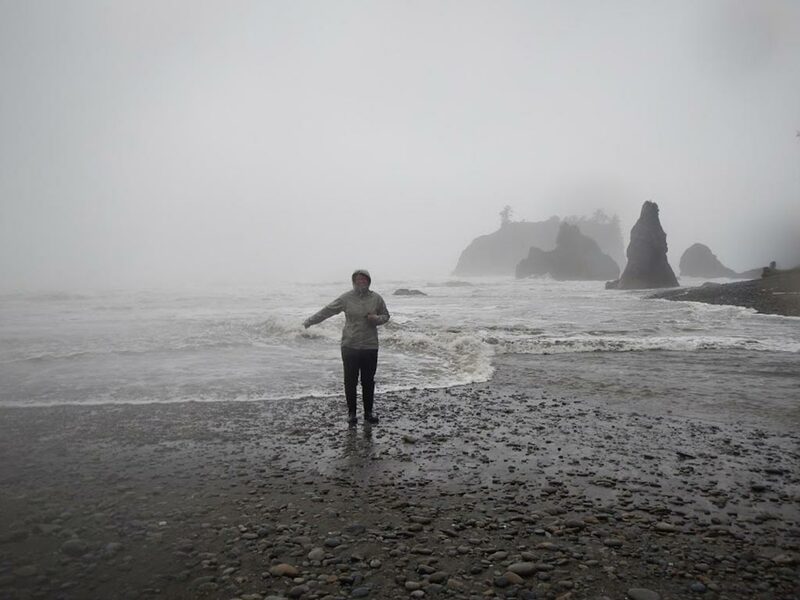 Jessica's most memorable moment at Silver Streak was delivering 4 boats with 4 trucks to Alaska Marine Lines in Seattle, WA with her brothers and her dad. Ace joined the team some years ago and has never missed a day. He is punctual with his naps and always willing to lend you a hand with your lunch. His hobbies are greeting new customers and hanging out with the crew. Scott has been with Silver Streak as he put it "since birth". As Andy's son he's not kidding...he has been around the shop his whole life. Scott enjoys dirtbiking, building/driving old hot rods, fishing, camping and hiking. Scott's most memorable experience at Silver Streak was when he was delivering a 17' Runabout to Kenora, Ontario in the middle of winter. Between break-downs, white-knuckle driving through the BC Rockies and many cold sleeps in his truck he built his fair share of character that trip. Rick is our in-house carpenter and is a big part of the interior of our boats. He has been with us for over 5 years and we are pretty sure he's never missed a day! He is as great person to be around and is a man of all trades. Rick enjoys Nascar, auto racing, fishing, trap shooting and repairing "other people's stuff" (We weren't kidding about him being a great guy to know!) 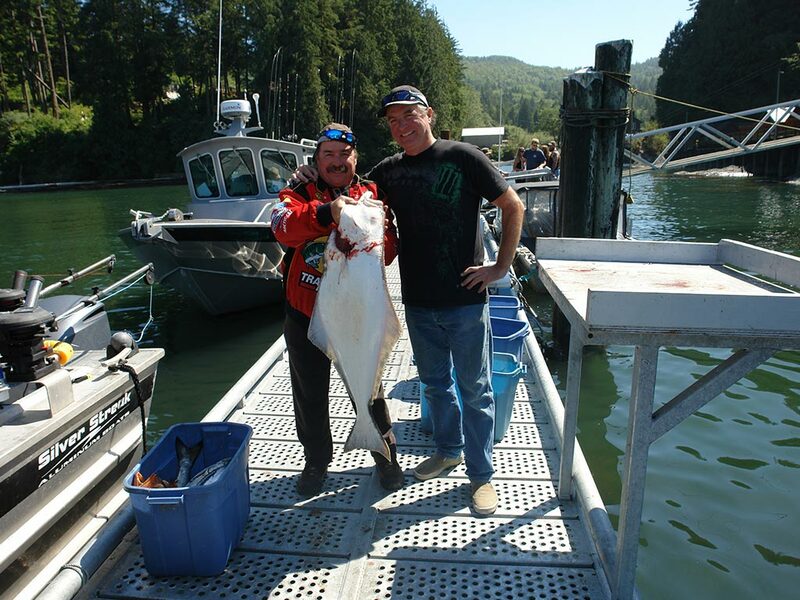 Rick's best memory at Silver Streak is fishing at the Swiftsure bank with the crew in the summer. 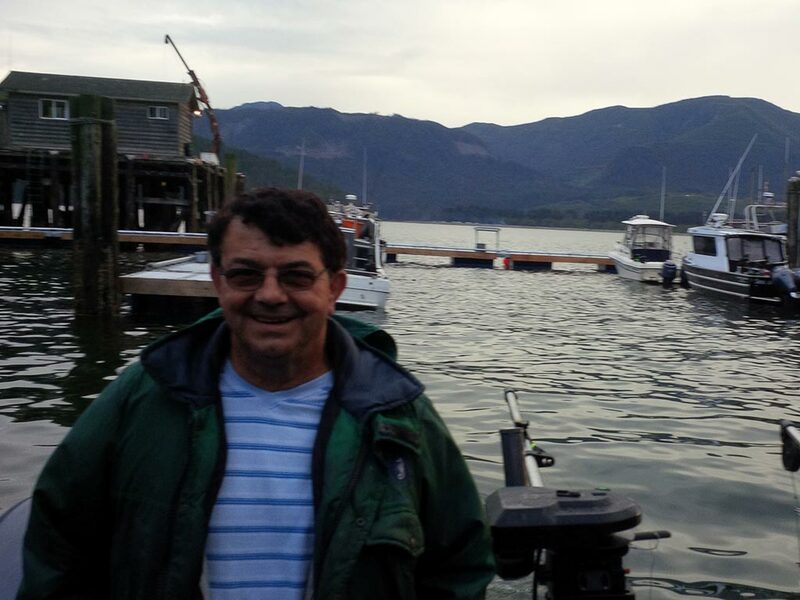 Jan started with Silver Streak boats over 6 years ago and is our ABYC certified marine electrician. 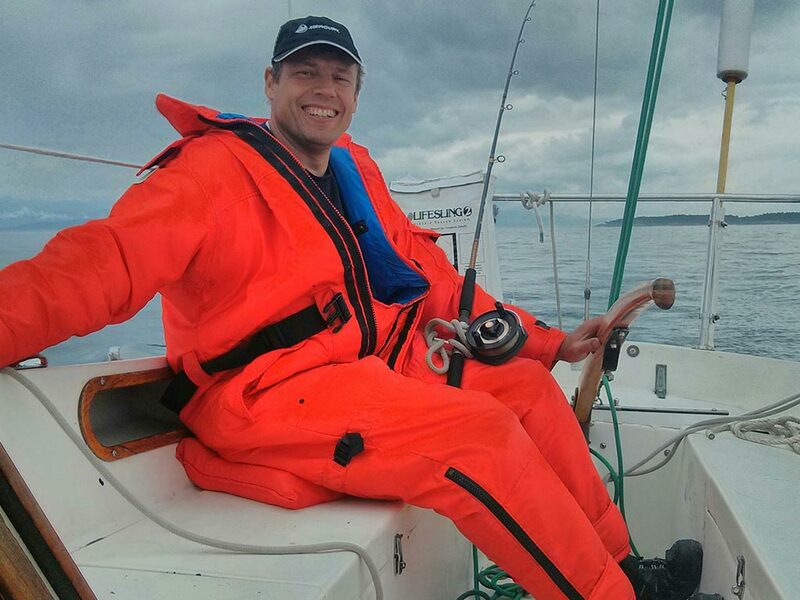 Jan enjoys hockey (goalie), fishing, diving and working on boats. Jan's favourite memory at Silver Streak boats is Claude's 15-year Golf Tournament. Ric joined Silver Streak Boats as a shop-hand in the upper bay/finishing shop. He plays a pivotal part in the last stages of our boat builds. When Ric isn't at work he likes to work on his truck and go out into the Sooke hills and camp. 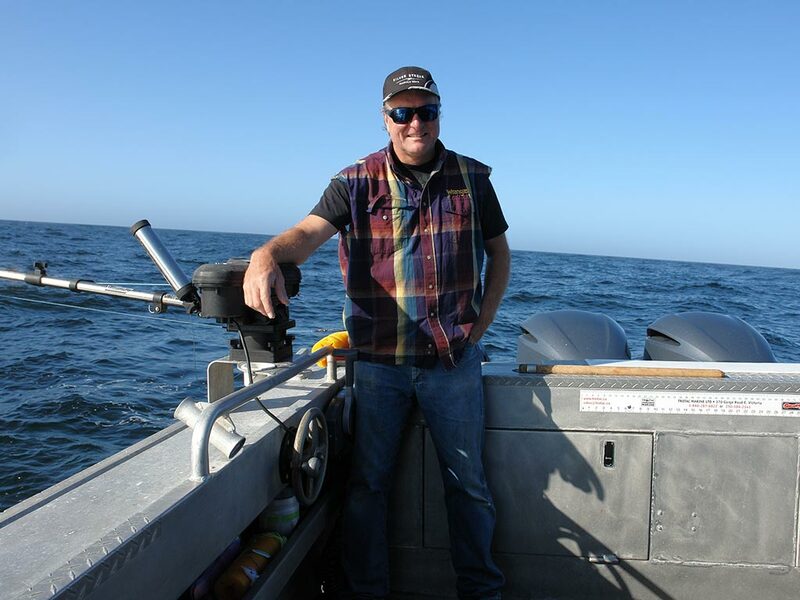 Ric's favourite memory at Silver Streak Boats is the company fishing trip in Port Renfrew with Trail Head Charters. "It was an amazing day out on the ocean with the crew catching fish".